How Many Calories to Eat When Running 7 Miles? The amount of calories burned while playing clarinet is calculated based on your weight and the amount of time you play. Once considered a sedentary activity, playing the clarinet is now known to be a moderate to heavy cardiac workout, based on a 2008 study led by Claudia Iñesta. You can estimate the total number of calories you burn while playing the clarinet with this formula: (METs x 3.5 x weight in kg) ÷ 200) x duration in minutes. Calculate your weight in kilograms by dividing your weight in pounds by 2.2. You weigh 54.5 kg if your weight in pounds is 120. The American Heart Association explains that METs, or metabolic equivalents, is a number that represents your resting metabolic rate compared with your metabolic rate while performing a specific task. Dr. Bill Haskell developed a comprehensive list of activities with their METs values, which range from 1.5 to 20. Playing a wind instrument while seated has a METs value of 2.0 to 2.5. During a 45-minute musical recital, a 120-lb. 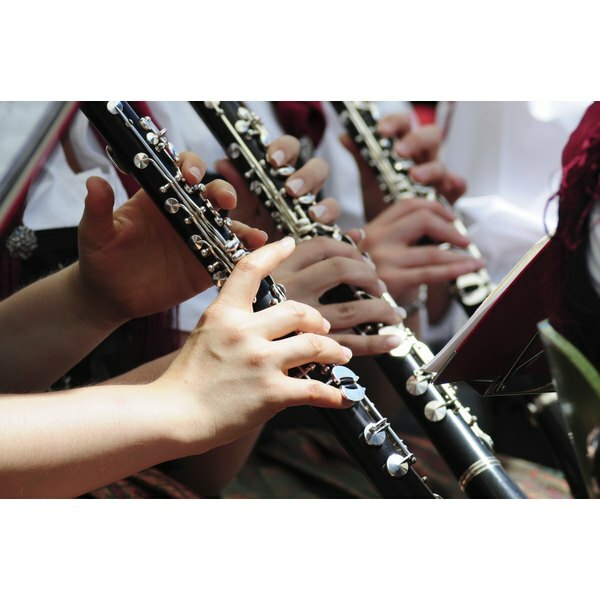 person can burn an estimated 106 calories while playing the clarinet. With a METs value of a 4.0, playing the clarinet in a marching band for 20 minutes can burn 76 calories for a 120-lb. person.